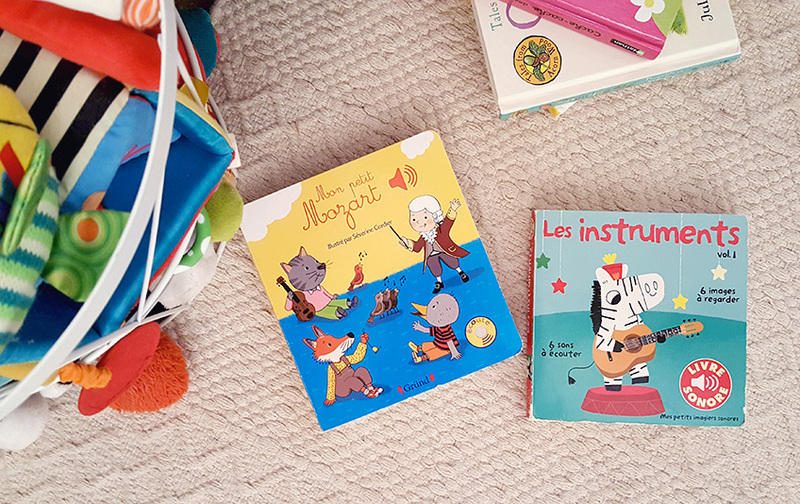 My daughter is growing, and so is her love for books. We’re starting to have a nice collection of children’s books at home, and I thought it might be interesting to share our favourites at the end of each month. 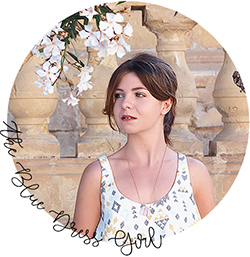 So this is the beginning of a new series : “Baby Book”. 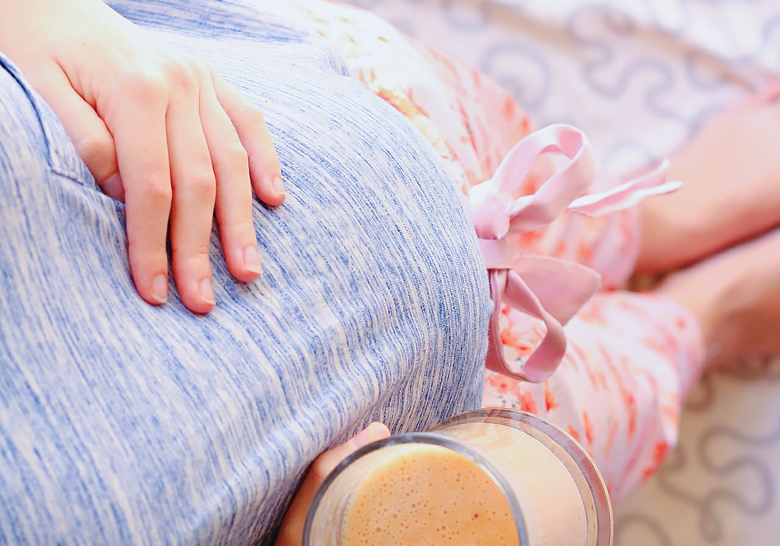 If you are a parent or if you have little ones around you, you may find these posts interesting as they can give you new ideas ! 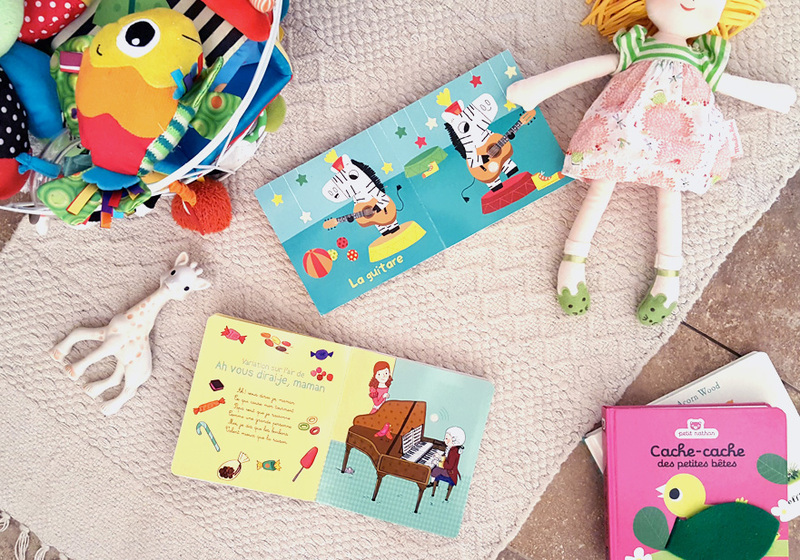 The books presented in this post are suitable for children from 6 months to 3 years. The state of the book speaks for itself : it’s the favourite of the house. 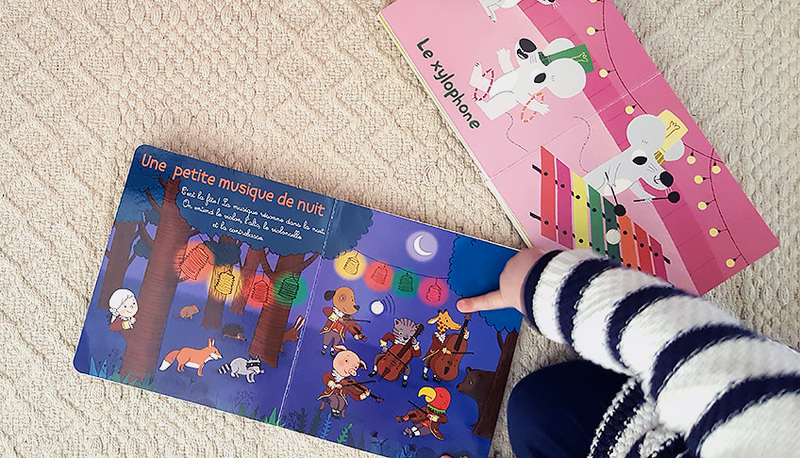 My daughter loves music books, and this one in particular. 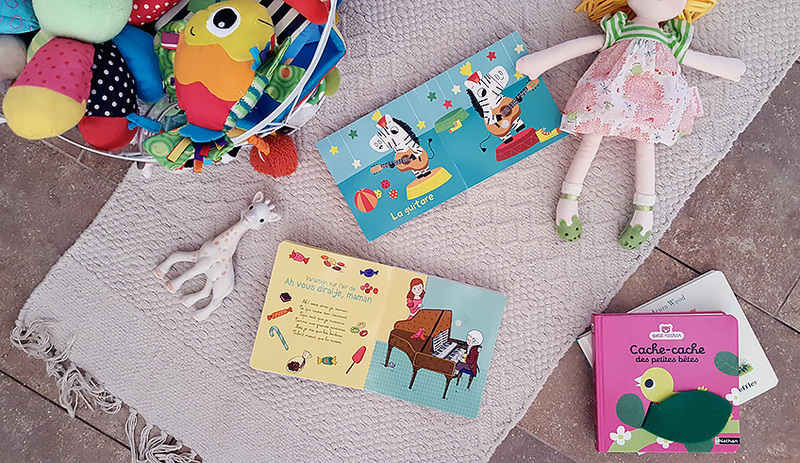 It allows babies to discover 6 instruments thanks to colorful images and nice melodies that are activated when a small button is pressed. The music is short and the volume is reasonable. A relative offered us this book very recently, and it was immediately a hit. It’s a very nice little book to introduce the youngest to the pleasure of classical music. There are several melodies composed by Mozart (A Little Night Music, the Turkish March…). Unlike the book about instruments, this one also contains descriptive text about the melodies. I think I like this one more than my daughter does, even though she enjoys “reading” it on her own. 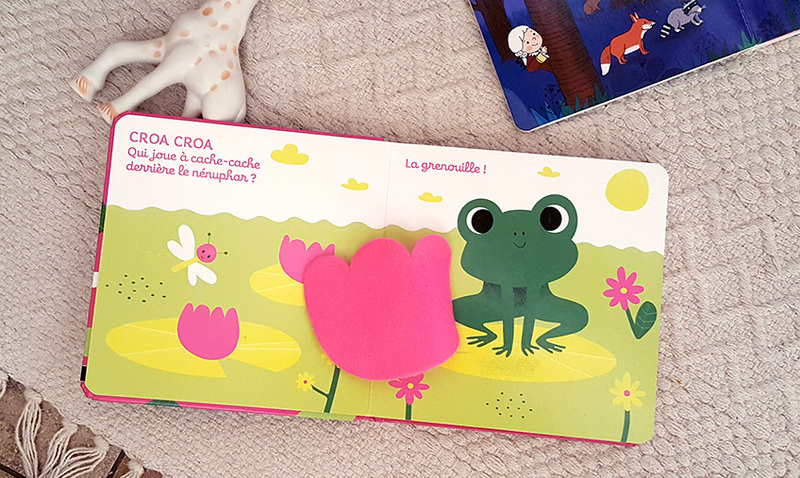 In this book, you have to look for small animals hidden behind a lettuce or cherry tree leaf. Babies who like to play hide and seek will certainly enjoy this book ! 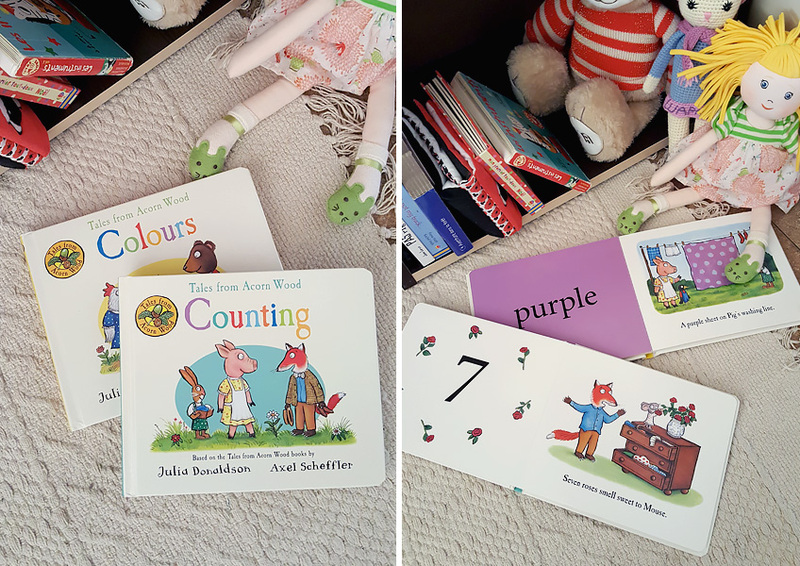 Since we live in an english-speaking country, we try to accustom our daughter to the english language, and simple books are a great tool. I love these two that allow the baby to discover figures and colours, with the help of cute little animals. I hope you enjoyed reading this Baby Book #1 and that it helped you make new discoveries! In your home, what are the latest reading favourites ? I am constantly looking for good recommendations and I would be delighted to read yours in the comments.